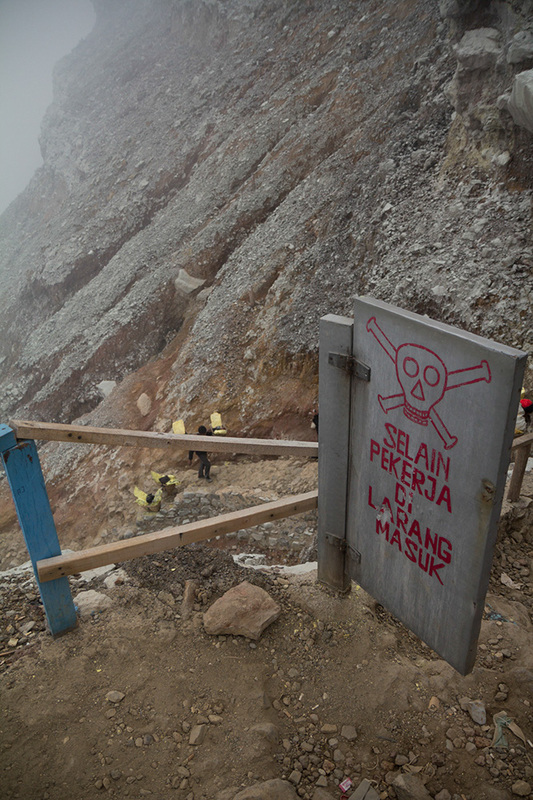 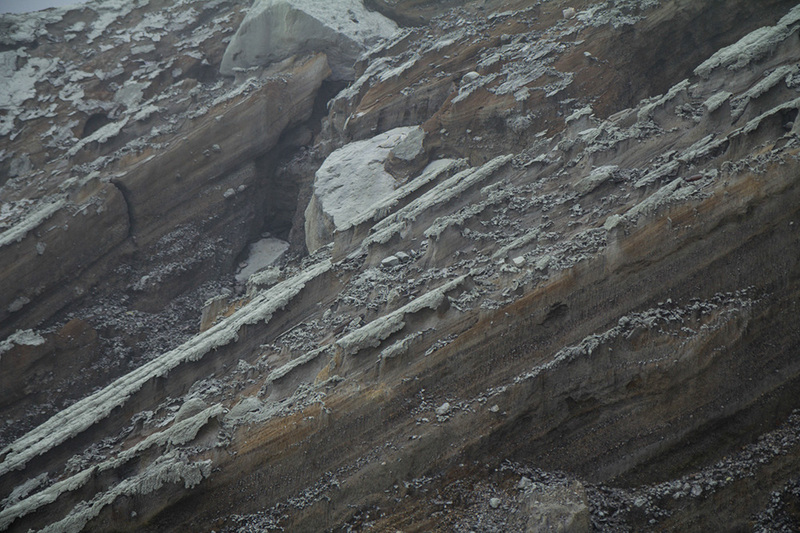 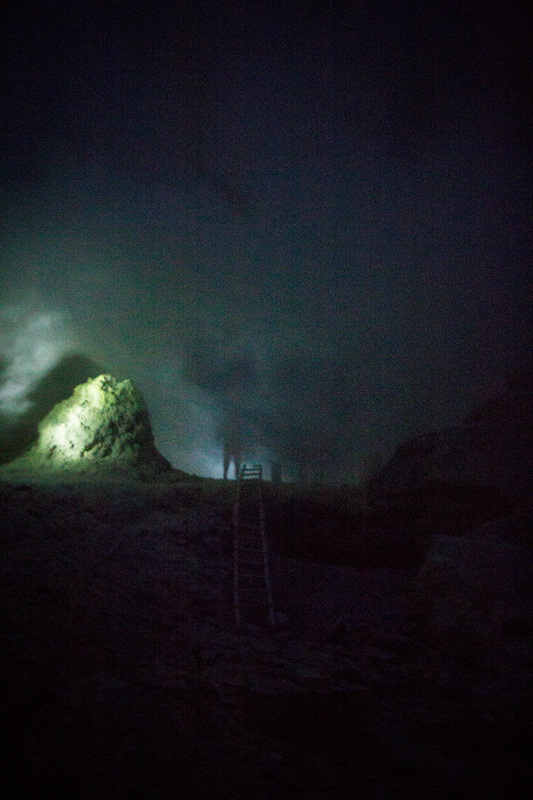 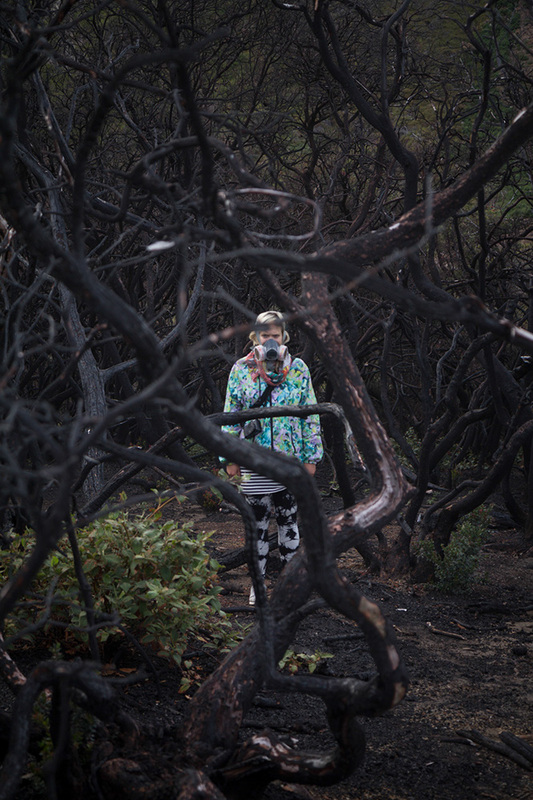 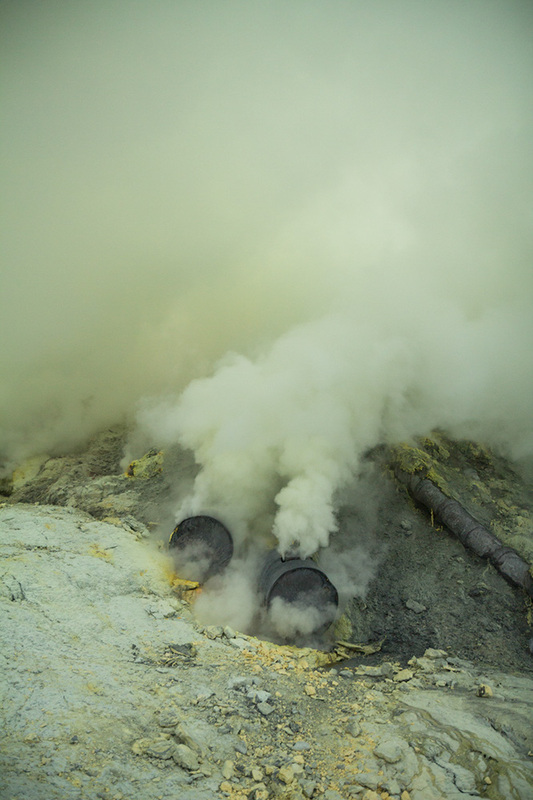 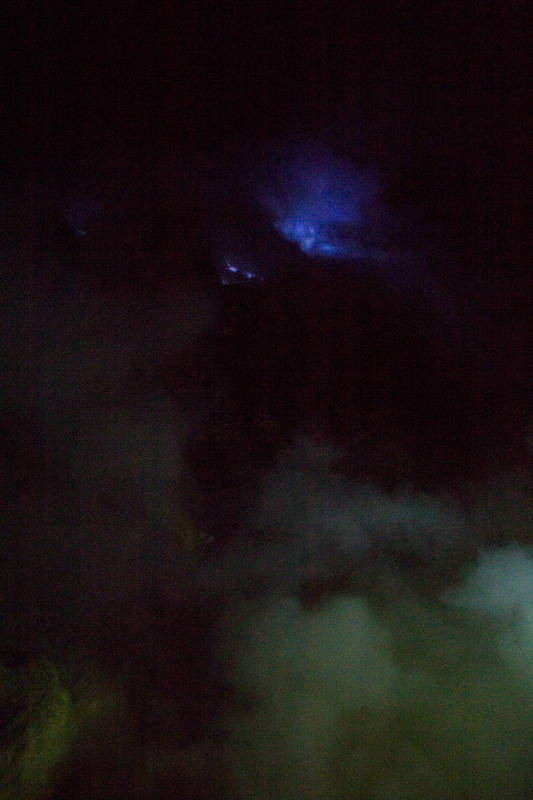 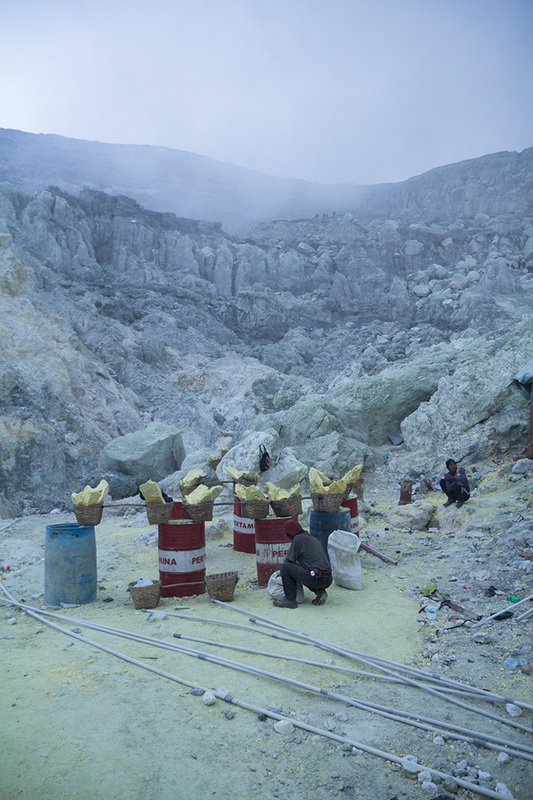 19/06/2015 – Ijen, Java, Indonesia. 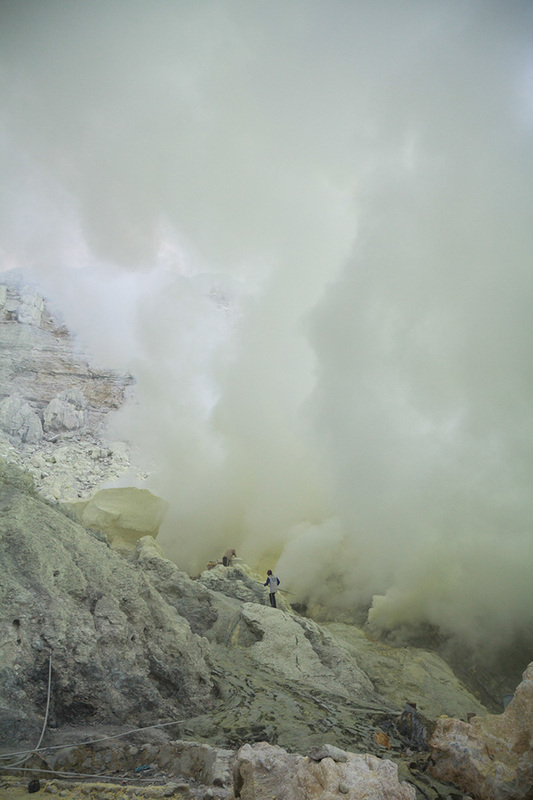 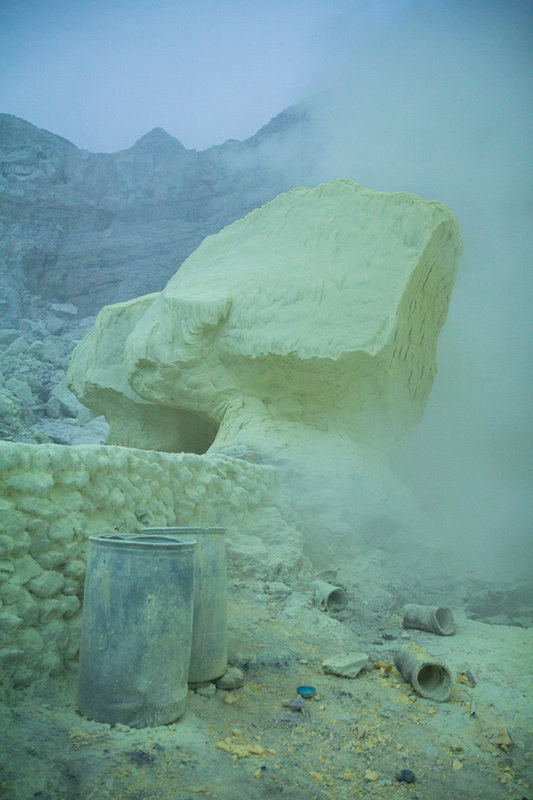 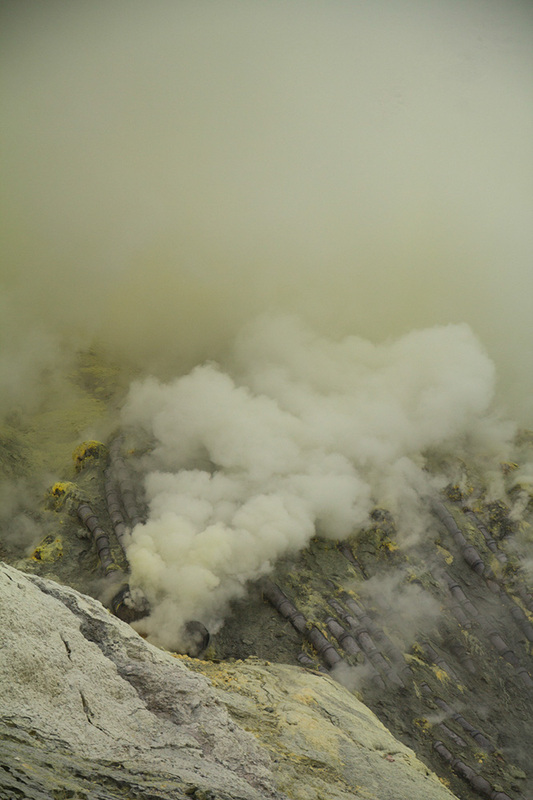 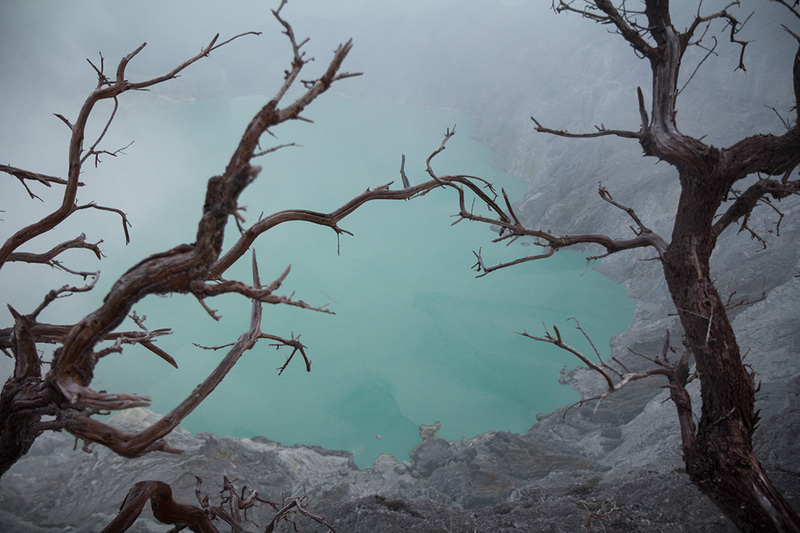 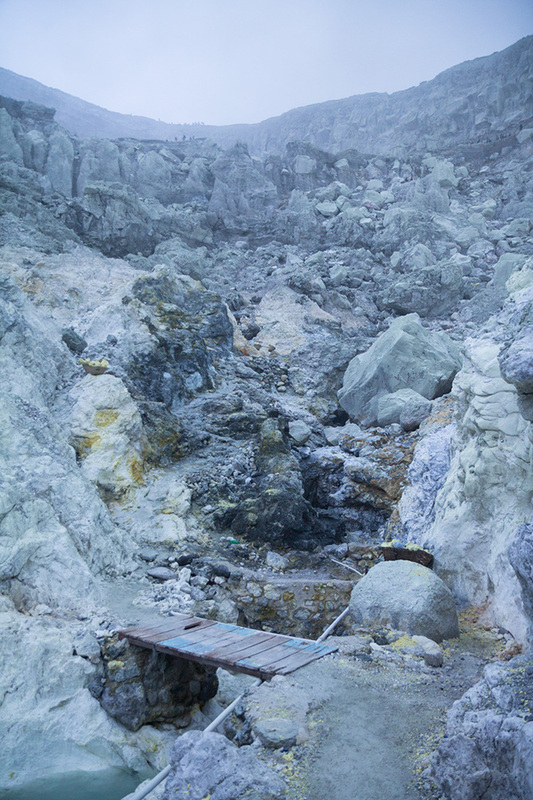 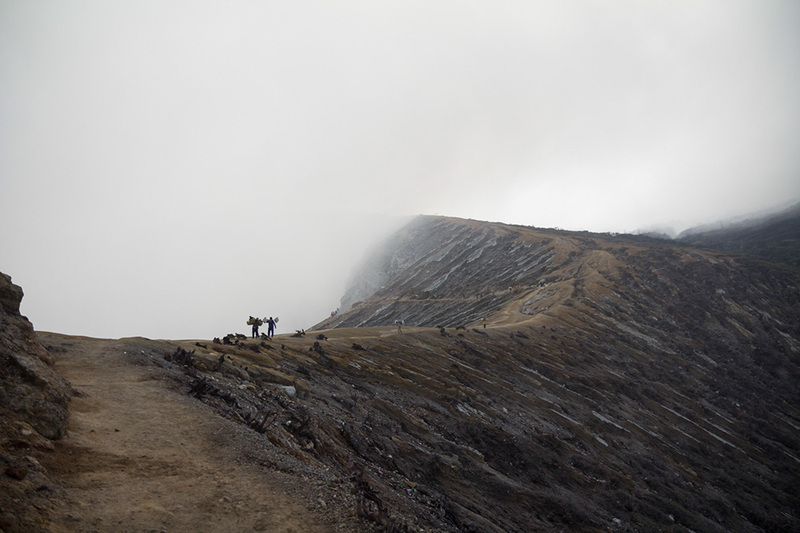 Ijen volcano is situated at the very East tip of Java island near Banyuwangi town. 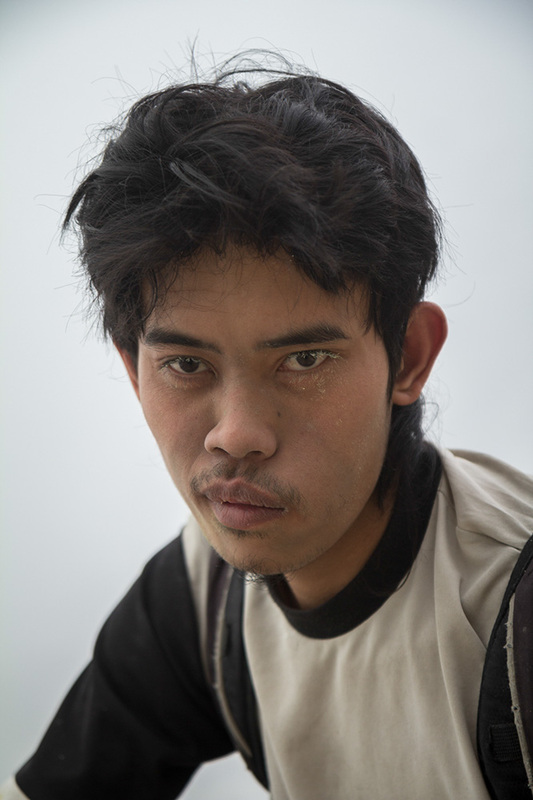 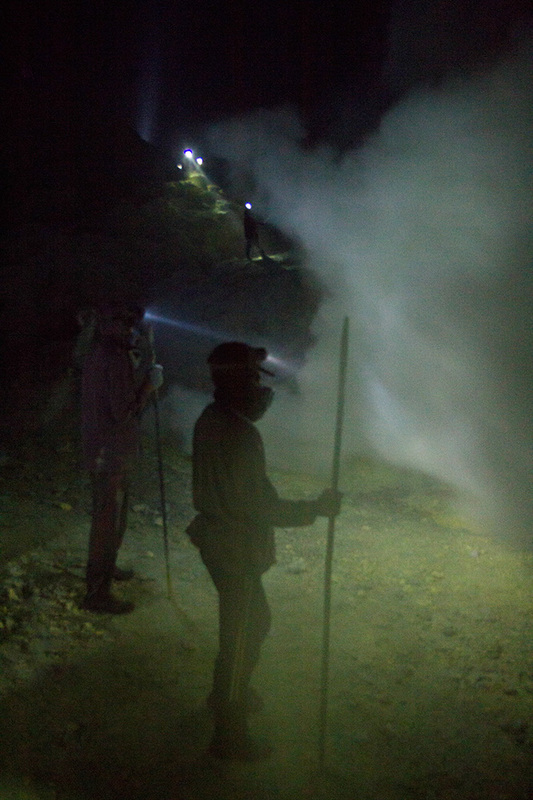 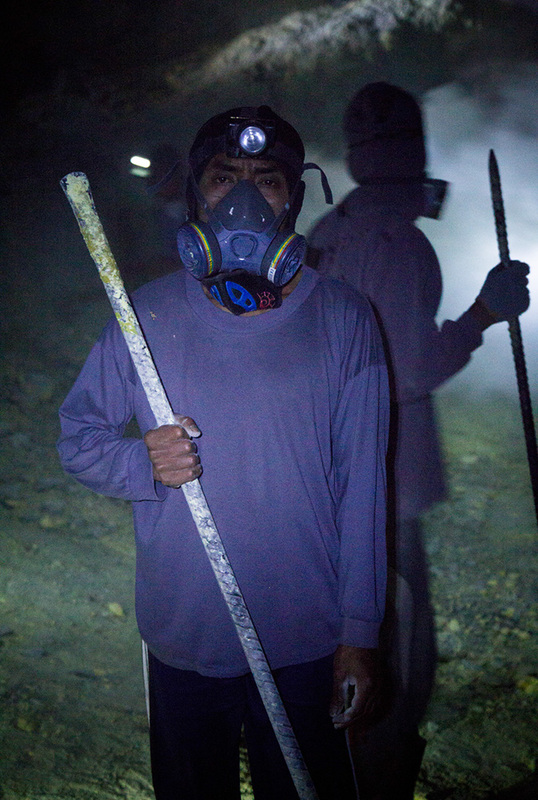 Adi (28) works as a sulphur miner at Ijen volcano since he was 15 and says he will keep this work as long as his physical condition allowes him. 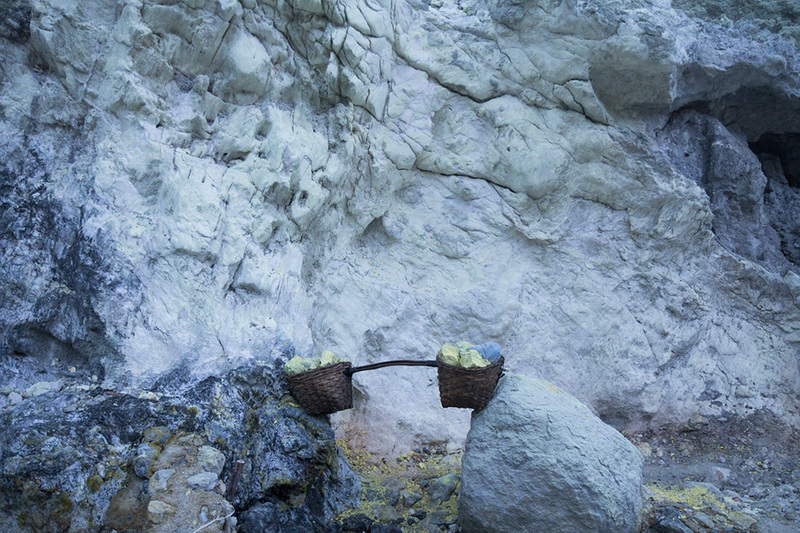 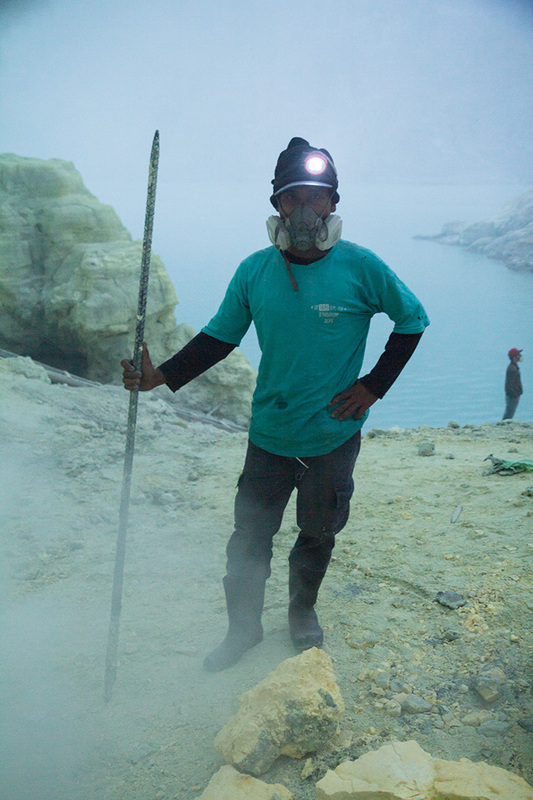 He starts to climb at 4am to the rim of the crater at 2799m above the sea level then descendes down to the crater lake of pure blue colour and fills his baskets with raw sulphur using an iron bar. 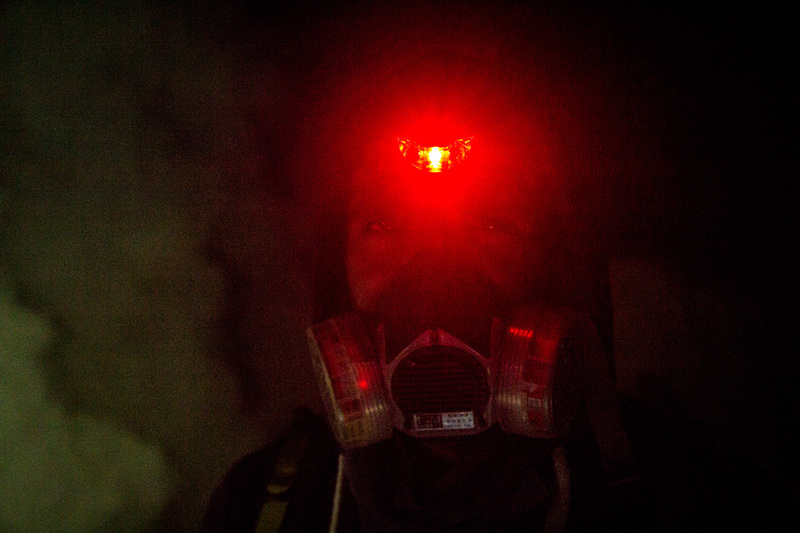 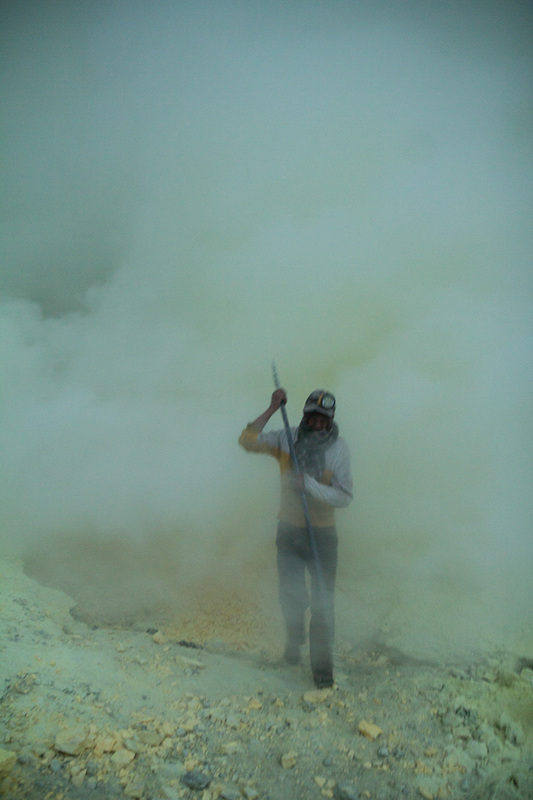 He completes his route 2 times everyday except Sundays or on rainy days when the sulphur gases become too toxic. 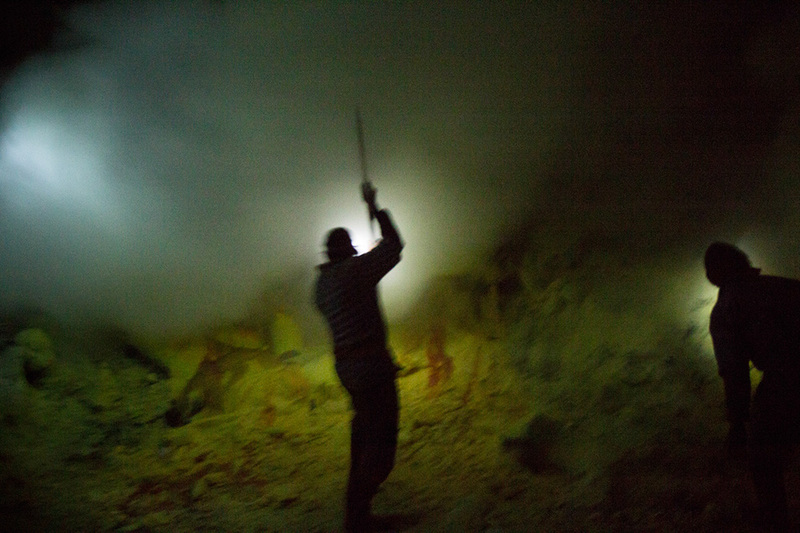 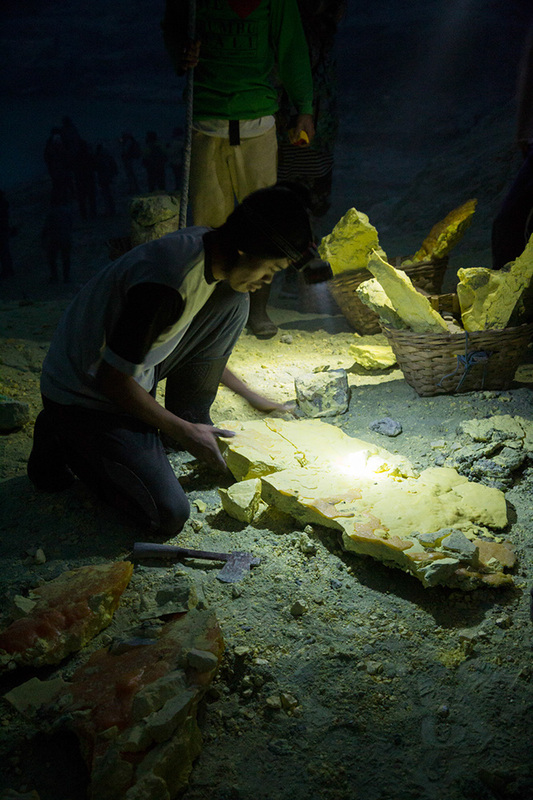 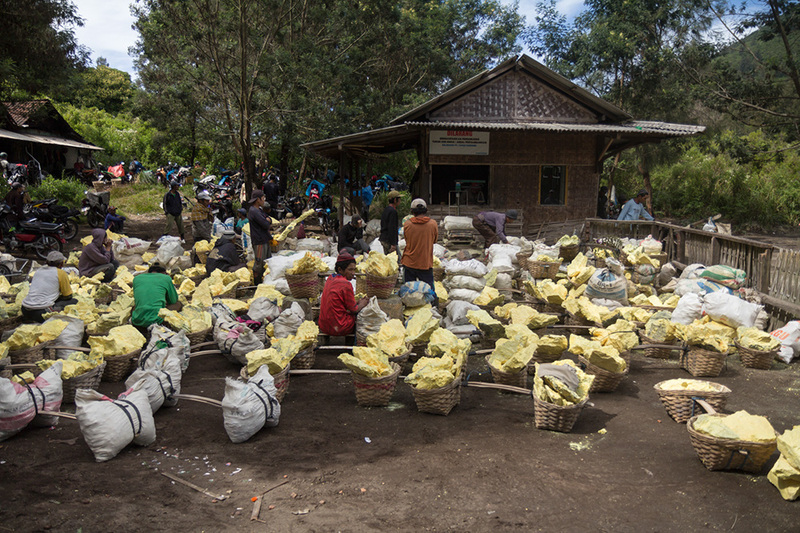 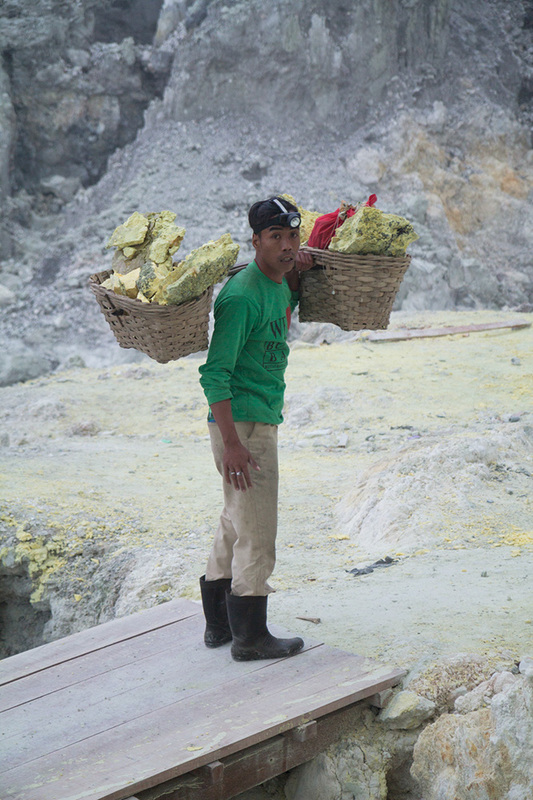 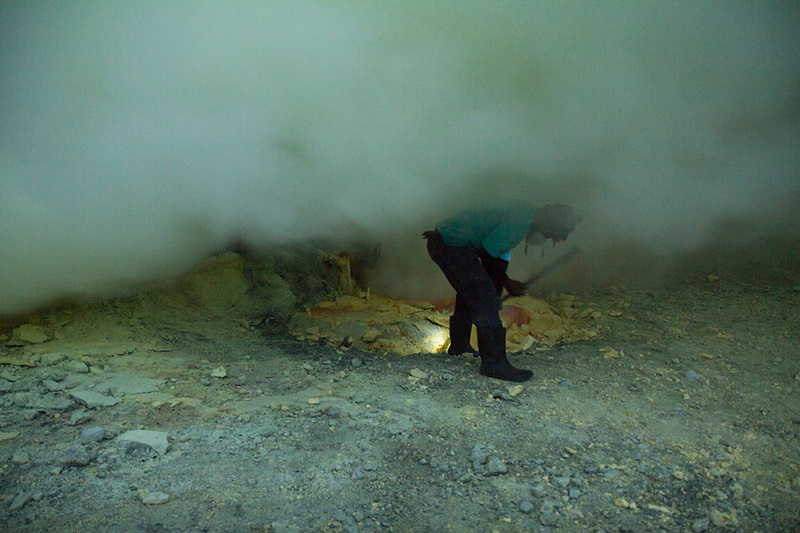 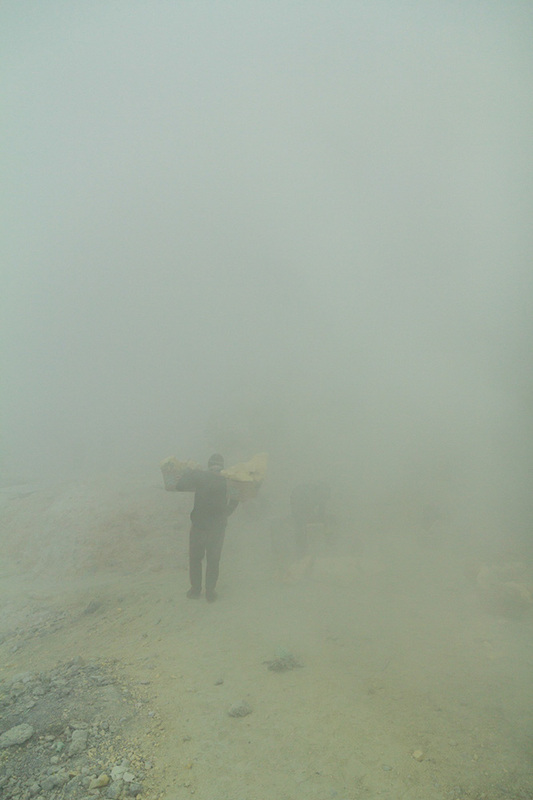 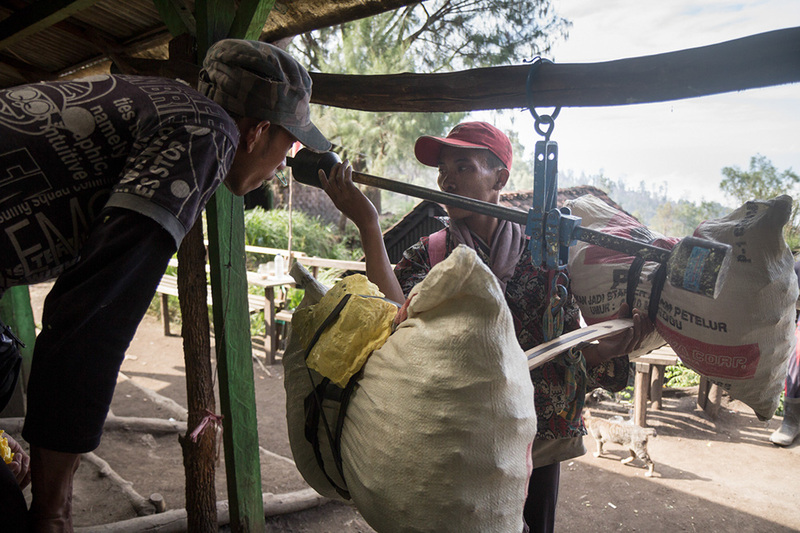 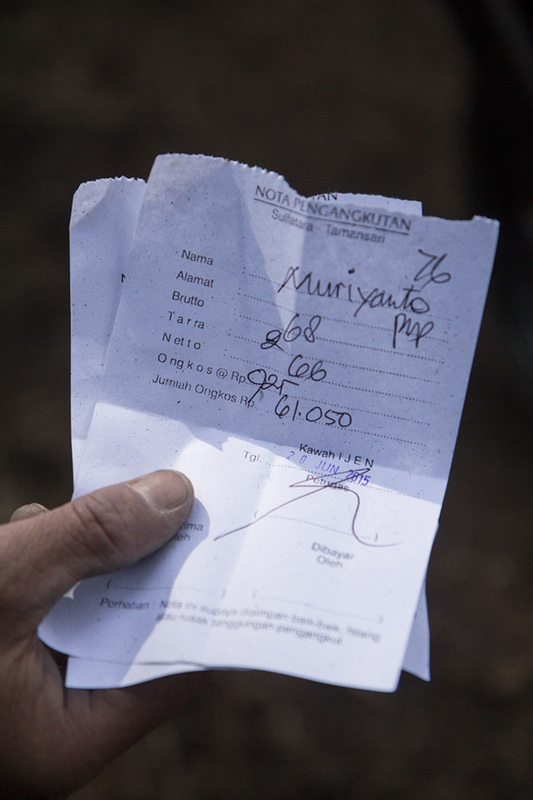 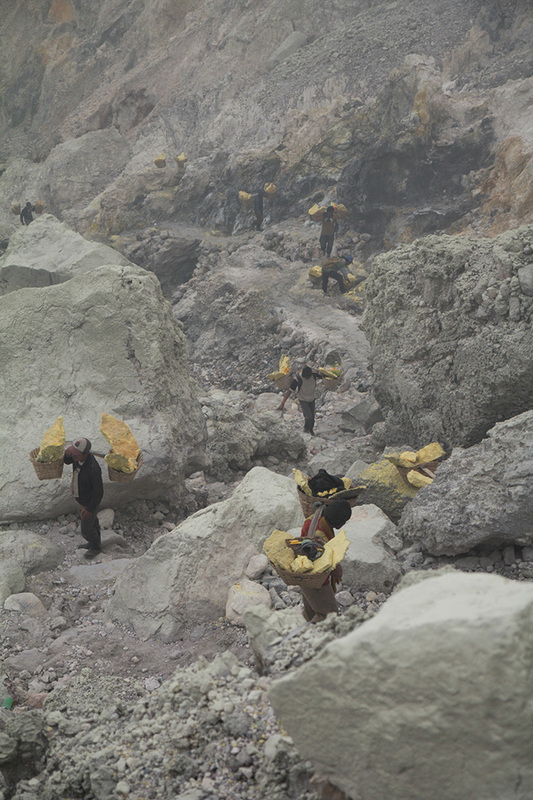 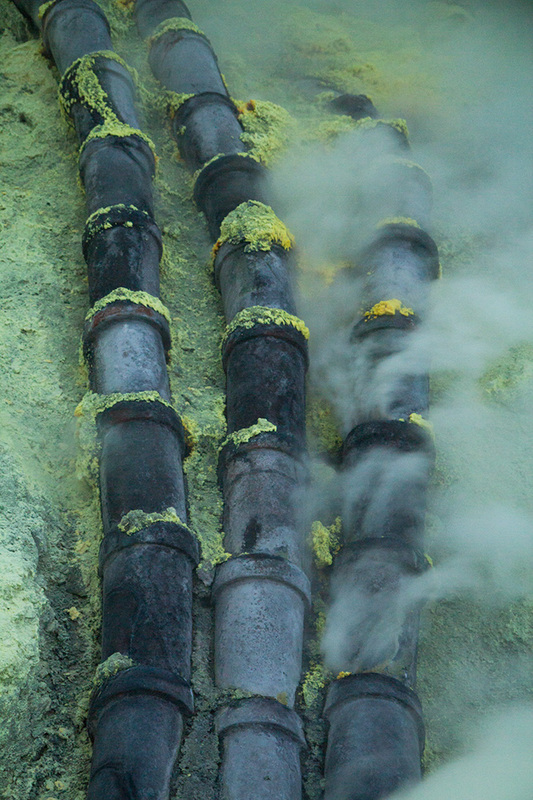 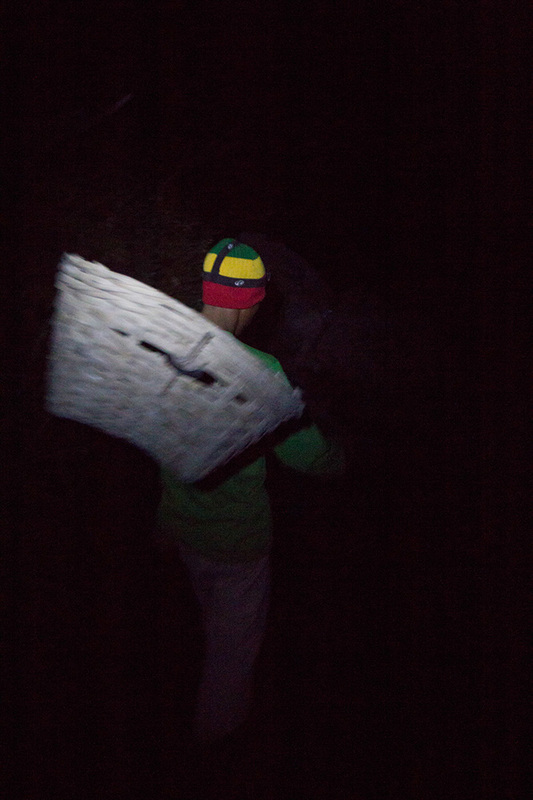 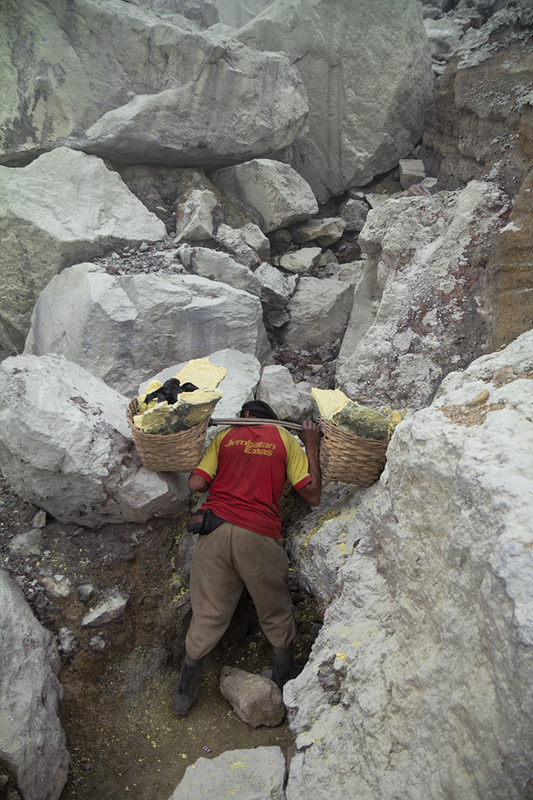 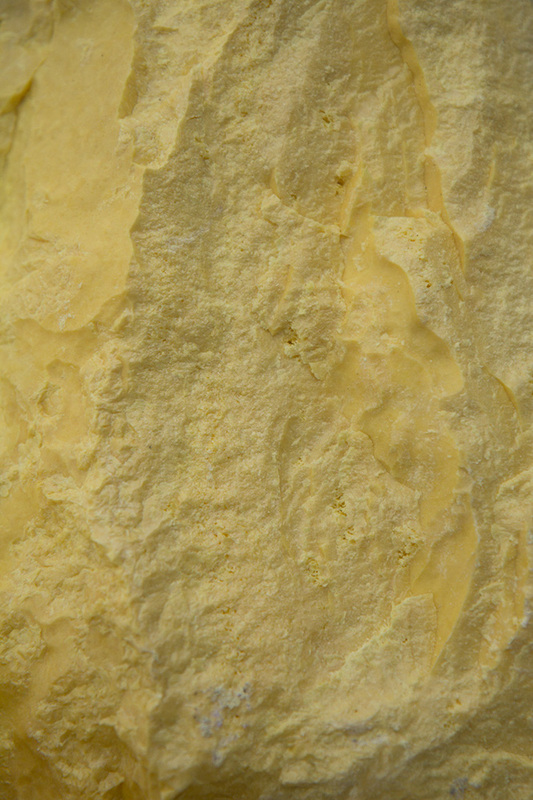 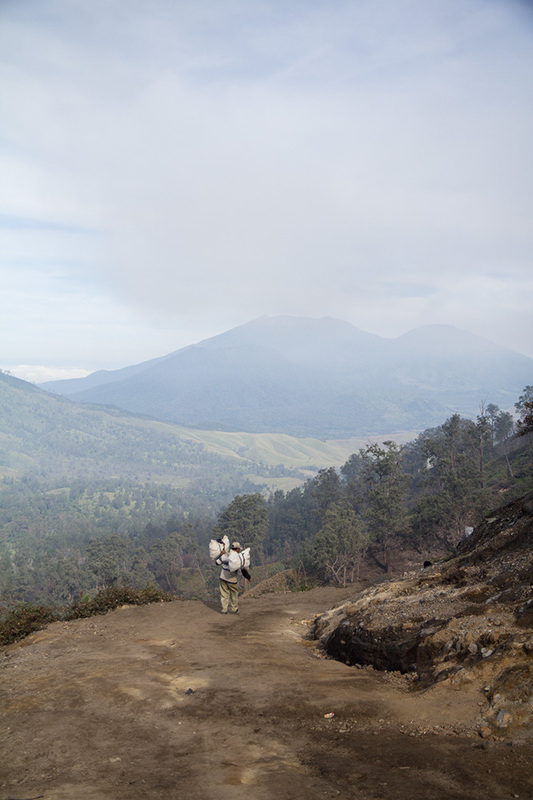 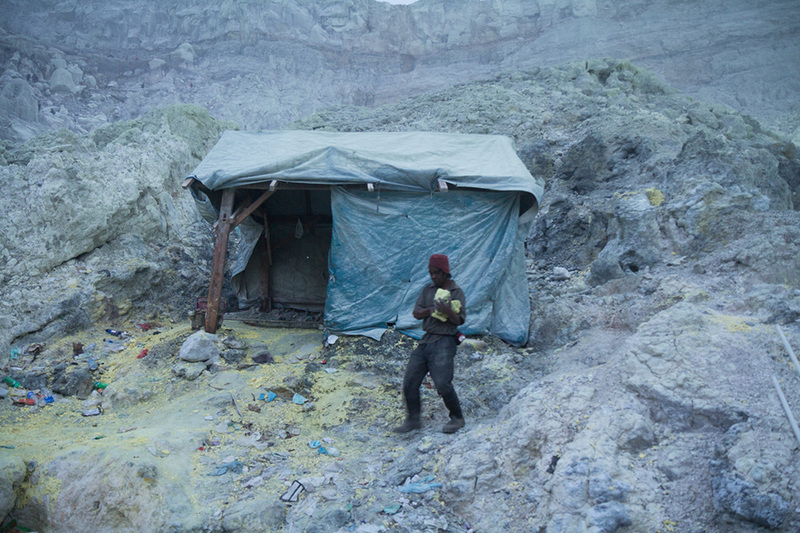 Each time he carry around 75kg of raw sulphur down the slope to the outpost where the paved road ends to sell it for 900 rupiah per kilo (as in 2015, = 0.06 US$).